Built for advocacy practitioners by those that have been there and worked on hundreds of campaigns over the course of more than a decade, SparkInfluence provides not only the tools and content you need to educate, engage and empower your stakeholders but also the real-time access to data that will help you track, manage and encourage repeat action. Grassroots advocacy has changed over the last decade. What may have worked years ago hardly registers with advocates today. Yet the tools used to not only generate action but track and encourage repeat action are woefully behind the times. There needs to be a new, layered approach with a true cloud-based, enterprise software solution. An approach that educates, engages and empowers advocates to action. 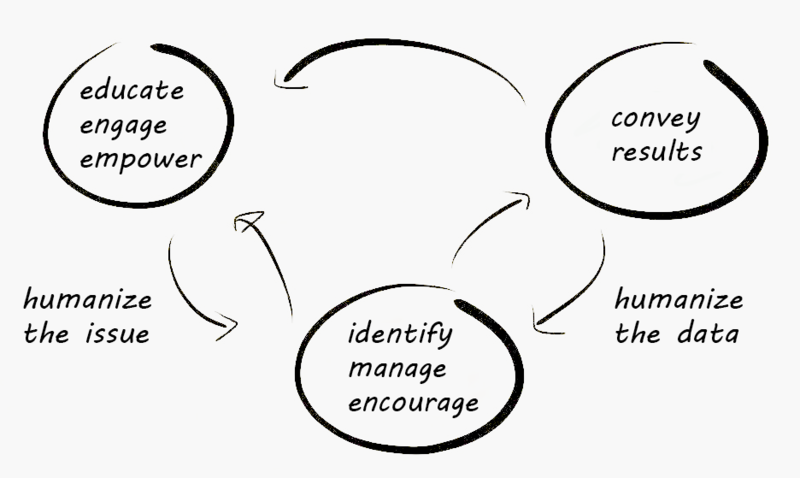 An approach that effectively tracks, manages and encourages repeat action. And an approach that helps to quickly and easily convey the importance of your effort. 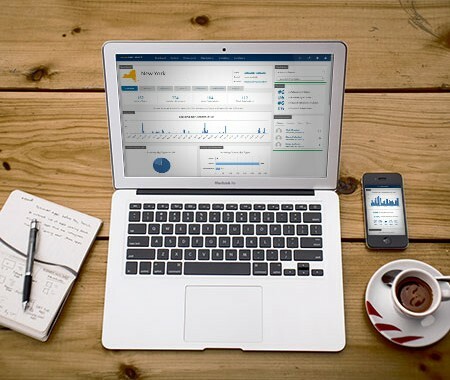 It’s a new era of Inbound Advocacy, and it needs a real software solution. Inbound Advocacy needs SparkInfluence. 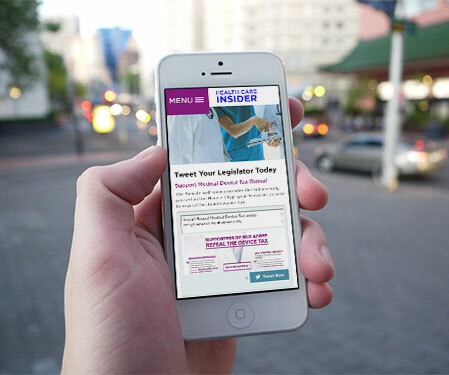 Our mobile tools allow your stakeholders to take action on the go. Whether texting users, or having them tweet, call or write their legislator, SparkInfuence‘s platform is ready and makes it easy to engage users on their phones, tablets or desktops. Every action, every inaction, every interaction is a data point that has the potential to improve your advocacy effort. Yet most tools bury that data, showing only bits and pieces and making admins spend hours reading spreadsheets before putting together reports that should be at the ready. 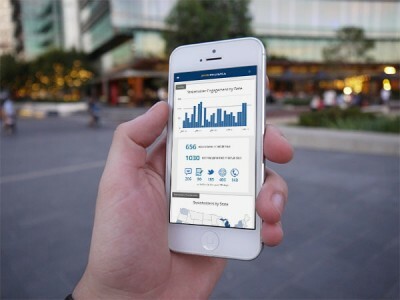 With SparkInfluence, the data you want is at your fingertips, visually, ready for you to analyze and act upon as needed. 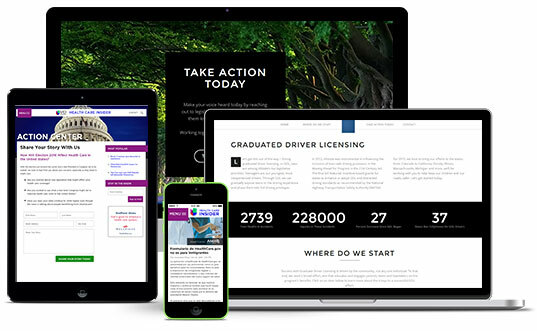 What if you didn’t need to login to find out how your advocacy effort was doing? 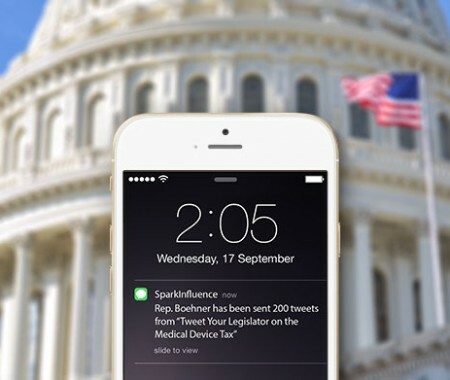 SparkInfluence brings activity notifications to the world of grassroots, alerting administrators by email or text message when certain milestones have been met. Even better, set up guidelines for your top advocates and SparkInfluence will send you a message when they take action. The system will even alert you when a new advocate matches the profile of a potential VIP or influencer. It doesn’t get any easier than that. Immediately be notified when specific conditions are met – number of messages by district, state, action or legislator. Your choice – Daily or instantly, text message or email. You shouldn’t have to limit your creativity to the handful of templates provided by your advocacy tool. SparkInfluence runs literally thousands of templates, allowing you to quickly and easily customize your effort however you see fit. 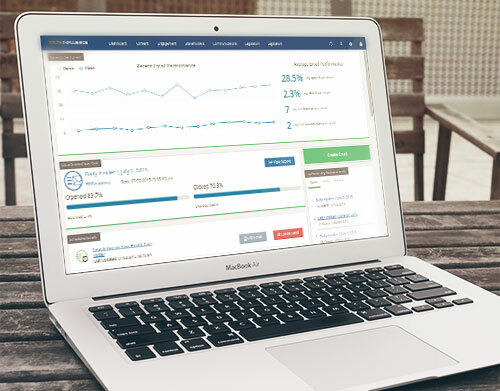 Even better, run multiple microsites on top of the same platform, allowing you the ability to segment, target and execute campaigns all from the same database of stakeholders. SparkInfluence’s embed code makes it easy to integrate the platform’s tools into any website. In fact, it’s as easy as dropping in a YouTube video. And, just like YouTube, you can share your embed code with affiliates or coalition members and have them drop it into their site. The best part, all data is funneled into your dashboard, making the whole experience truly seamless. Simple embed code makes it easy to publish calls-to-action on any site. Fully customizable layout, adjustable to your effort. SparkInfluence’s Virtual LobbyistTM provides a way for you to quickly and easily bring your issue to life for a legislator or their staff. Stop wasting time wading through spreadsheets to find the right messaging. 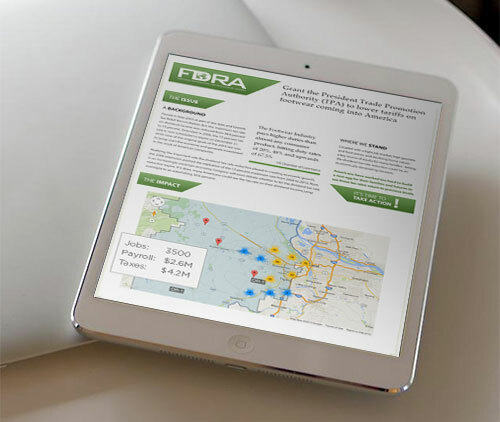 Instead, launch a Virtual LobbyistTM page and display the best letters, videos, tweets and more together alongside your industry/district data all in one visually engaging layout, Be ready for your fly-in or lobby day in minutes, not hours. SparkInfluence’s comprehensive email messaging tool allows you to quickly and easily message various segments of your database, adding graphics, merge fields, text blocks, RSS feeds and more at the click of a button. Even better, track opens, bounces, clicks, conversions and more with each and every email sent.